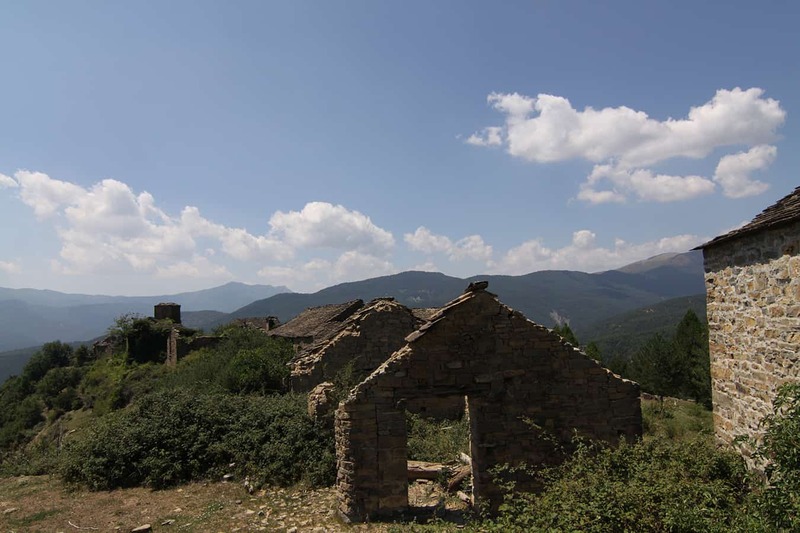 La Solana is possibly the most concentrated area of abandoned villages in the whole of Spain. It sits above the left banks of the River Ara and clearly highlights the consequences of the depopulation that the Sobrarbe went through in the second half of the 20th century. 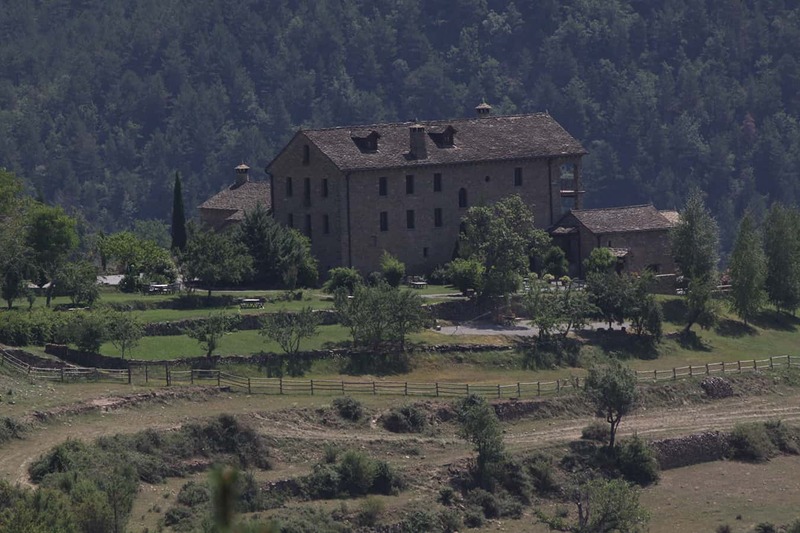 14 villages and a hamlet breathed life into this valley until half way through the last century. To wander around these charming villages is to lose yourself in the midst of nature and nostalgia. Down below this rugged landscape is the riverbank of Fiscal, with its gentle meadows and its prime fishing along the Pyrenees’ one remaining unspoilt river. The recommended route along the right bank of the river takes you through villages with towers, strong holds and chapels. The valley is also perfect for 4X4 trips, Mountain bike rides and of course walks. Sat on a gentle east facing slope, Burgasé is at 1288 mts and is made up of tightly packed buildings. Until the 17th century there were 30 houses. In the 1900 census 24 homes, 33 buildings of other use and a hostel were recorded. Down in the Pundarrón gulley is the Baño spring, with its medicinal sulphurous waters. Cájol is at the bottom of the Guargas de Cájol gulley at 1344mts. Its 9 house are divided into two neighbourhoods separated by a shallow valley. Sat along the top of a ridge at 1066mts, Cámpol has just one street named Calle Santa Marina. The 1900 census recorded 9 homes, 10 other buildings and a hostel. 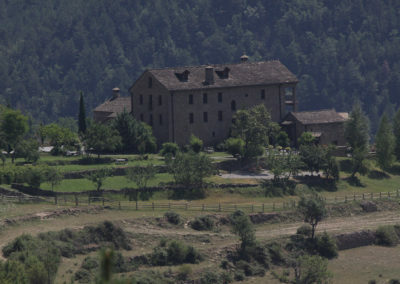 Castellar sits on a ridge of 1315mts between the gulleys of Cájol and Plandevilla. The village consists of 3 houses and half a dozen barns. The houses have impressive cisterns for water collection from the roofs. Gere is on a south-east facing slope in the gulley of La Lata at 1187 mts. Its five houses are spread out over the village. This village is on the right hand slopes of the Yasa gulley facing north-east. Calle Santiago runs through its eight houses which are interspersed with a large number of water springs. Giral unfolds over a gentle slope at an altitude of 940mts. It has a single street (Calle san Ramon) and seven houses. Up on a ridge at 1066 mts, sits the village of Muro de Solana with its single street (San Pedro) and its four houses arranged in a defensive pattern. On a steep slope at 842 mts with a single street and three houses. Up on a hill at 991mts with three houses around a single street. One of the houses, Casa Vallés, bears the coat of arms of the Villacampo family dating back to 1682. A single house standing on a gentle hill at 825 mts just below Cámpol. This large rectangular stone building has the coat of arms of the Duaso family above its door. It also houses a chapel with 16th century frescos. 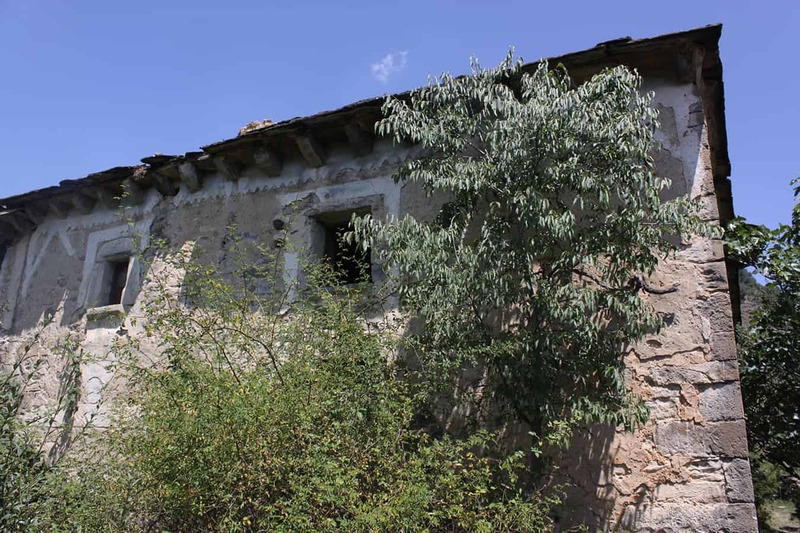 Sat on the gentle east facing slopes of the Santiago gulley at 1205mts, it has around twenty tightly packed houses built around its main street, Calle San Juan and various little squares and lanes. In the “Blacksmith’s square” there is a stone cross dedicated to Santa Elena. 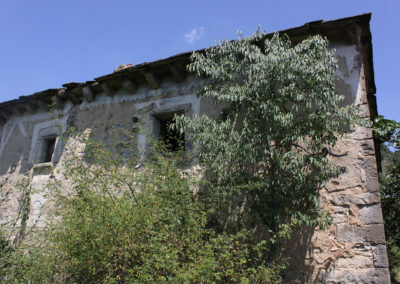 Two houses that stand out in the centre of the village are those of casa Ambrosio and casa Agustín, dating from the 17th century with defensive arrow slits. Also worth a mention is the tower of the parish church. On the sides of the Guargas gulley at 1214mts, sits Semolué. A single street runs through its three only houses built on steep stone walled slopes providing a curious man made landscape formerly for agricultural use and now planted up with pine forest. On the top of the Villamana ridge at 800 mts, Villamana has just two houses built on a terrace looking over the Guarga de Cájol gulley. The houses sit on flat plains between old cultivation terraces, now redundant and planted with pine. They were built on a large scale in local stone. The Romanesque church of Santiago dates from the middle of the 13th century.